The G8 summit has agreed to provide aid to two Arab nations and made an announcement on the situation in Libya and Syria. This comes as Russia says it is ready to help Muammar Gaddafi resign. On Friday, the eight discussed several major topics that included financial aid to the protest-hit Arab states. UN representatives, as well as representatives from Egypt, Tunisia and several world financial organizations also took part in the discussions. Following the meeting, devoted to the resolution of these problems, the world leaders announced that the two countries can receive over US $20 billion in aid from financial institutions. In a statement adopted after the meeting, the Group of Eight said that they support the program of reforms put forward by the African states and are ready to help. The leaders also called on the Syrian authorities to halt violence and initiate reforms. They demanded Damascus to stop using force against its people, to free political prisoners and to open a dialogue with the protesters. In case these recommendations are not fulfilled, the G8 promised to consider taking further measures against the Syrian government. As for the situation in Libya, the summit announced that Muammar Gaddafi’s regime has lost its legitimacy and must go. The declaration put forward by the Group of Eight said that the transition in Libya should be fulfilled by the Libyan people themselves. The leaders also said that they support the package of reforms brought forth by Libyan opposition forces. Russia will send Mikhail Margelov, the Head of the Federation Council’s Foreign Affairs Committee, as an envoy to meet rebels in Benghazi. President Dmitry Medvedev, talking to journalists at a press conference after the summit, confirmed that Moscow has consented to be a peace mediator in Libya. Russia is the only country that has maintained diplomatic ties with both the regime and the opposition. “We discussed it at the G8, and our declaration says that the Gaddafi regime has lost its legitimacy, Gaddafi must step down,” Medvedev said. Officials in Moscow also announced on Friday that it is ready to support Muammar Gaddafi’s resignation if this helps to find a solution to the stalemate in the country. “We believe that Gaddafi has lost his legitimacy and we need to help him go,” Russian Deputy Foreign Minister Sergey Ryabkov announced. “If the respectful tone which Russia is pursuing in its dialogue with the Libyan government helps bring about a decision, this will be our major contribution in settling the highly explosive situation for this country and the region,” he added. “We did not have any illusions about the character of Gaddafi’s regime and we did have any illusions about Gaddafi himself. But like other European nations, we were trying to build bridges with Gaddafi while he was playing by the rules. Now he is not playing by the rules. Bombing civilians means that the leader has lost all credibility and does not deserve the right to be called a national leader. We are ready to initiate a dialogue between reasonable people in Tripoli and reasonable people in Benghazi,” said Margelov. The latest Russian move has come as a response to the G8’s earlier request on Russia to become a mediator in the Libyan settlement. As for a projected resolution on Syria, Medvedev expressed doubts that sanctions would work against the current Syrian leadership. He was also concerned that EU nations are pushing a UN Security Council resolution on Syria with the intention of intervening in the country, which could lead to the same scale of violence as seen now in Libya. Moreover, a Foreign Ministry representative said earlier the same day that Russia would not even read it, let alone sign it – not after the way the UNSC resolution on Libya was used. 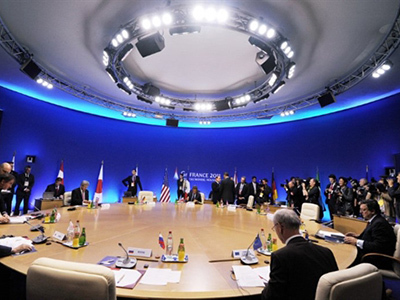 Further agenda items for the last day of the summit included the G8’s meeting with the representatives of several African states – Senegal, Niger, South Africa, Cote d’Ivoire and Nigeria – to discuss the problems these countries are facing, including such regional issues as drug trafficking, terrorism, and crime. 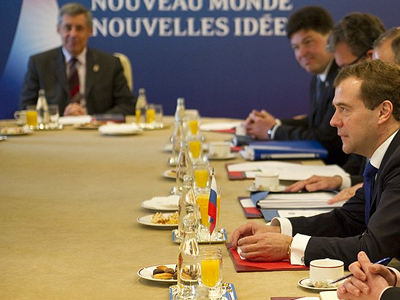 In his press conference, Medvedev also discussed the US plans for an anti-missile shield in Europe. Medvedev warned that if a consensus is not reached by the time the American anti-missile defense system is finalized in 2020, it may lead to another arms race. 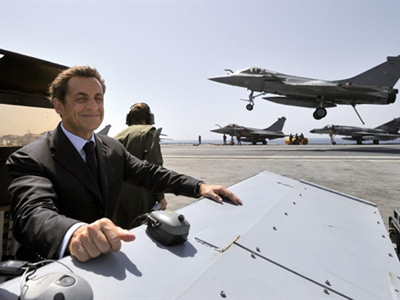 France’s President Nicolas Sarkozy said on Friday that Paris would defend and support the euro. 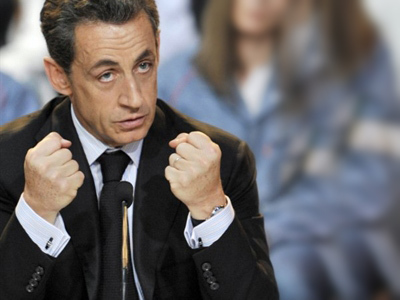 Sarkozy stressed that the euro was well above its introduction level and remained a strong currency. 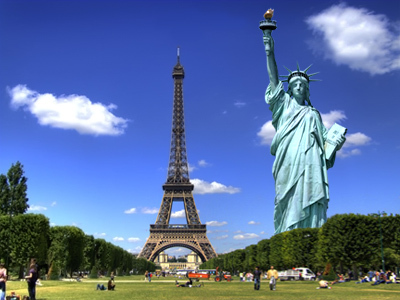 Europe has been going through an acute debate on their economic future. Huge saving cuts are taking place in many European countries, which has evoked massive protests in Greece, Portugal, Spain and other countries. Despite this fact, the G8 summit in Deauville has decided to send $20 billion to Tunisia and Egypt.